Eddie, C. (1993). Survey of Land Snails Restricted to Dry Vineforests in the Lockyer Valley, Southeast Queensland. Unpublished report to University of Queensland, Gatton College, Lawes. 137pp. Seventeen patches of dry rainforest (semi-evergreen vine thicket) were surveyed for land snails in 1993 in the Lockyer Valley, situated between Toowoomba and Brisbane in southeast Queensland. 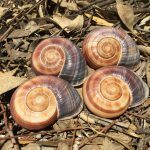 Despite a heavily cleared and highly modified landscape, the Lockyer Valley possesses a rich land snail fauna, with 56 species being recorded. Several of these are short-range endemic species and are restricted to the remaining tiny dry rainforest remnants. Site species richness ranged from nine to 31 species. Twelve species new to science were discovered during this survey. Stanisic, J., Eddie, C., Hill, A. and Potter, D. (1994). 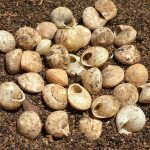 A preliminary report on the distribution of land snails occurring within the Wet Tropics area. Unpublished report. This document is an atlas of the land snails occurring in the Wet Tropics area of northeast Queensland. 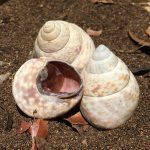 It represents the first comprehensive account of the land snail fauna of the region and is based on collections held primarily within the Queensland Museum. Eddie, C. (1993). Land Snails of the Karst Limestones of the Kempsey Region, New South Wales. Unpublished Report to the University of Queensland, Gatton College, Lawes. 137 pp. This report documents the land snail fauna of the karst limestone outcrops of the Kempsey region of northeast New South Wales, based on collections held primarily within the Queensland Museum. For further information refer to: Stanisic, J. (1997) An area of exceptional land snail diversity: the Macleay Valley, northeastern New South Wales. Memoirs of the Victorian Museum 56(2): 441-448. This paper provides updated information relating to the status and inventory of vertebrate fauna within the Maranoa-Balonne River catchment of southern inland Queensland, subsequent to the publication “Ranges to Rivers. An overview of natural resources in the Maranoa-Balonne catchment”. Voller, P. and Eddie, C. (1995). 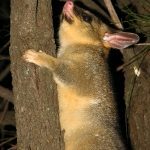 The influence of possum and cockatoo damage on tree decline in drought affected riparian forests of the Upper Condamine River, south Queensland.  In: Tenth Australian Vertebrate Pest Control Conference Proceedings. Pp. 224-227. 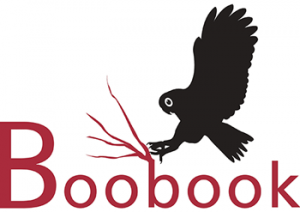 A note on the decline of tree health as a result of damage by Sulphur-crested Cockatoos and Common Brushtail Possums along the Condamine River in the Darling Downs region of southern Queensland. Eddie, C. (2000). A new locality for the land snail genus Elsothera in Queensland. Australasian Shell News 108: 4-5. 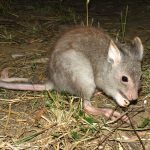 An undescribed species of Elsothera (Family Charopidae) was discovered on a cattle grazing property north of Roma, southern inland Queensland. This collection provides a new locality for the genus in Queensland. To date, this species has not been found away from the original collection locality. Eddie, C. (1997). A record of Cochlicella barbara (Linnaeus, 1758) from Queensland. Australian Shell News 97: 4. 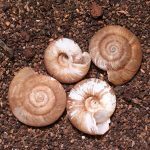 A collection of the introduced land snail Cochlicella barbara is described from a locality near Roma in southern inland Queensland, being the first known established population in Queensland. Eddie, C. (1996). 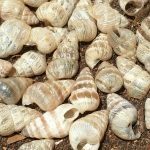 An updated list of the True Cowries (Family Cypraeidae) inhabiting Hervey Bay, Queensland. Australian Shell News 91: 2-3. 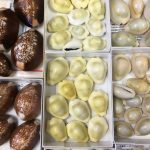 Twenty-six species of cowries (Family Cypraeidae) are listed for the Hervey Bay region of southeast Queensland, an update to the list of nine species originally published for the locality by Noel Gomersall in 1971. Eddie, C. (1992). Land snails and slugs of Booloumba Creek State Forest Park, Conondale Ranges, Southeast Queensland. The Moreton Bay Radula (Newsletter of the Qld branch of the Malacological Society of Australia) 10(1): 6-7. 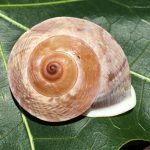 This article provides an inventory of land snails and slugs occurring within a portion of the Conondale Range, southeast Queensland. Thirty-eight species are listed for the site, including several short-range endemic species confined to the rainforests between Brisbane and Gympie.